This map shows two features – the clustering of waste sites and a smoothed visualization of their emissions. 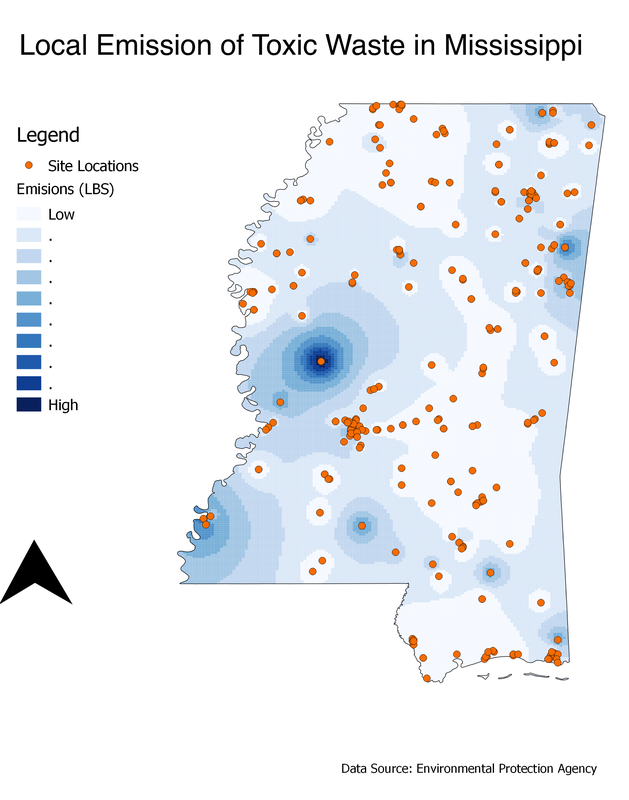 As can be seen from the map, the clustering of toxic waste sites is not necessarily a good predictor of high emissions. 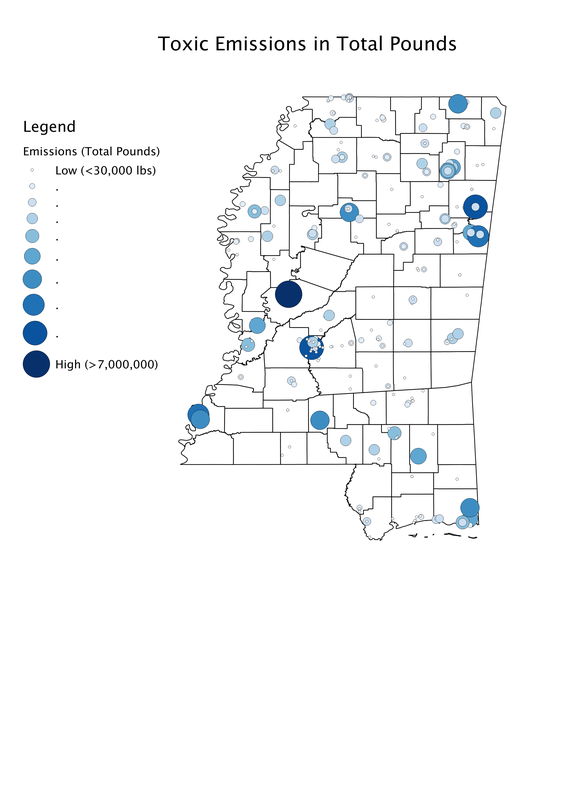 High emissions can also be found at single sites located in the Northeast, Southwest and just north of Jackson.